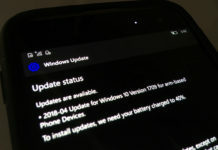 Microsoft rolled out Windows 10 Mobile build 10586.71 few days ago with slew of fixes, As you might notice no new features were included. Few days ago screenshots along with two hands-on video of Windows 10 Mobile build 10586.104 leaked and the build was reportedly coming this week. Today screenshots of Windows 10 Mobile 10586.107 has been leaked from two websites, the screenhost doesn’t reveal anything new. Now new reports from our sources confirms mobile 10568.104 has been cancelled and the company is now looking to out build 10586.107 for mobile devices. 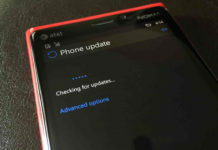 Windows 10 Mobile build 10586.104 is expected to include improvements as well as bug fixes. However, as you might expect it’a another cumulative update with no new features.